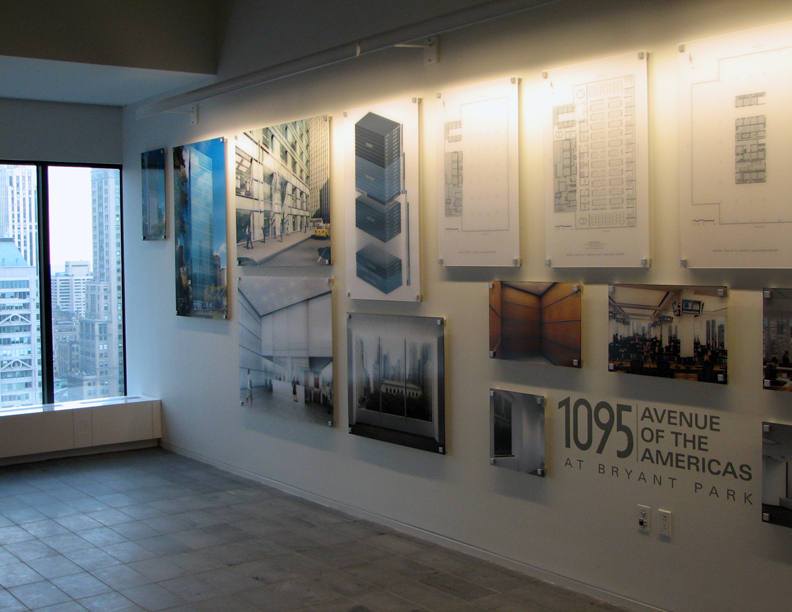 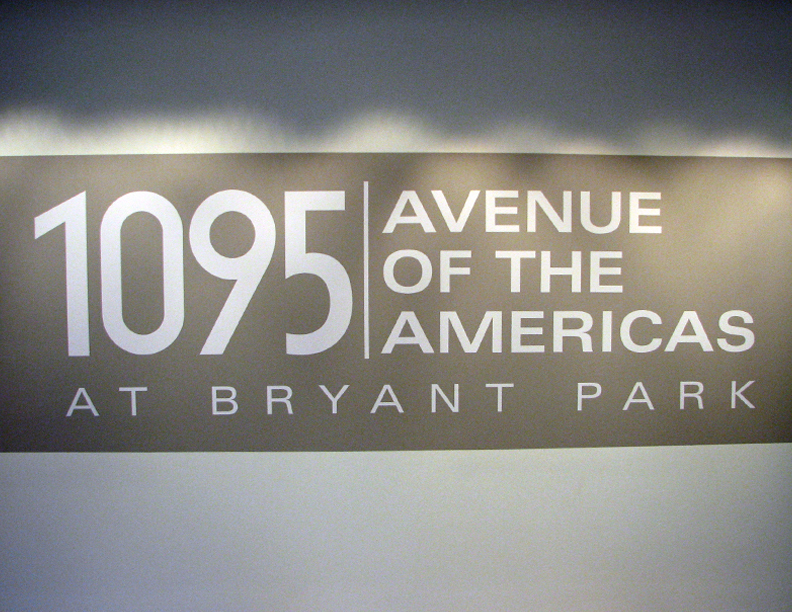 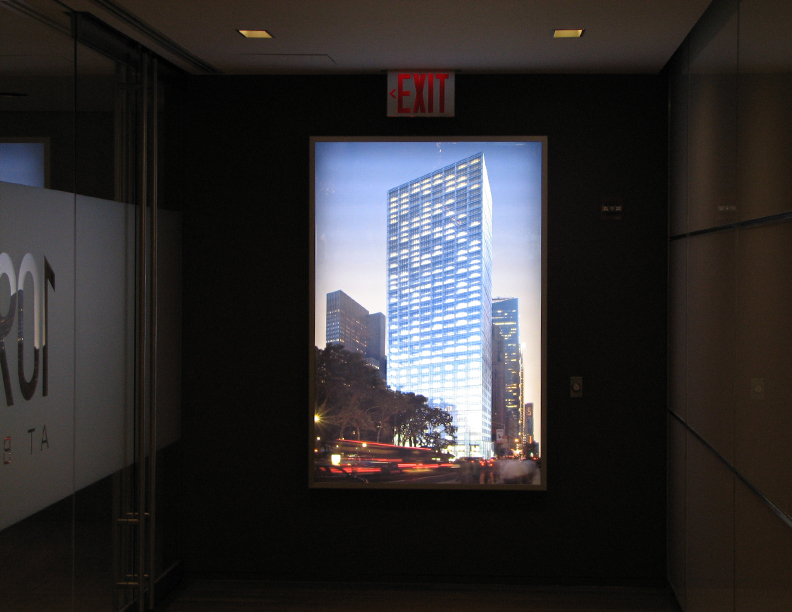 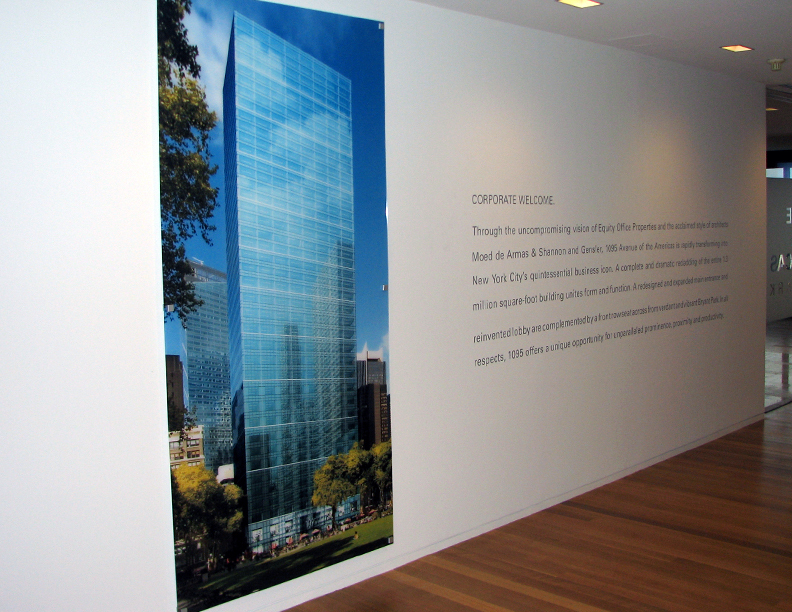 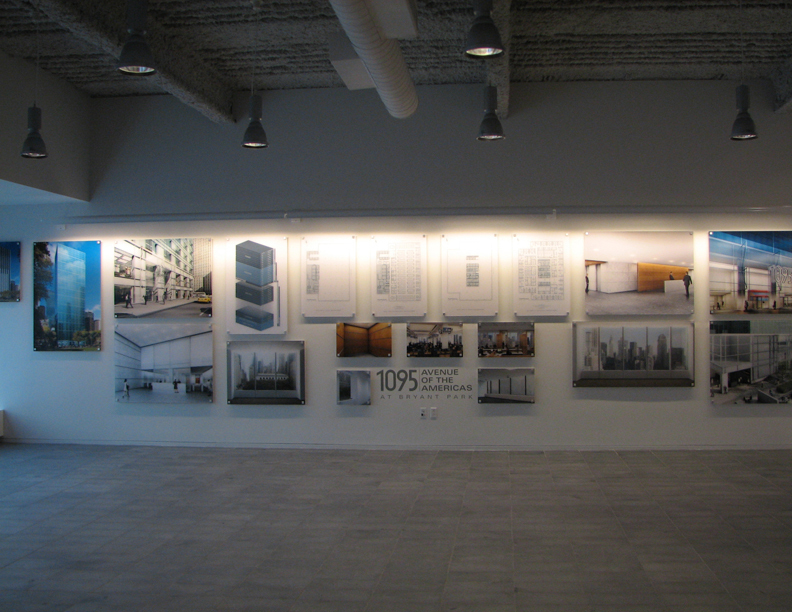 Complete interior on-site environment featuring vinyl wall graphics, framed C-prints and light boxes to facilitate the lease of full floors of 1095 Avenue of the Americas. 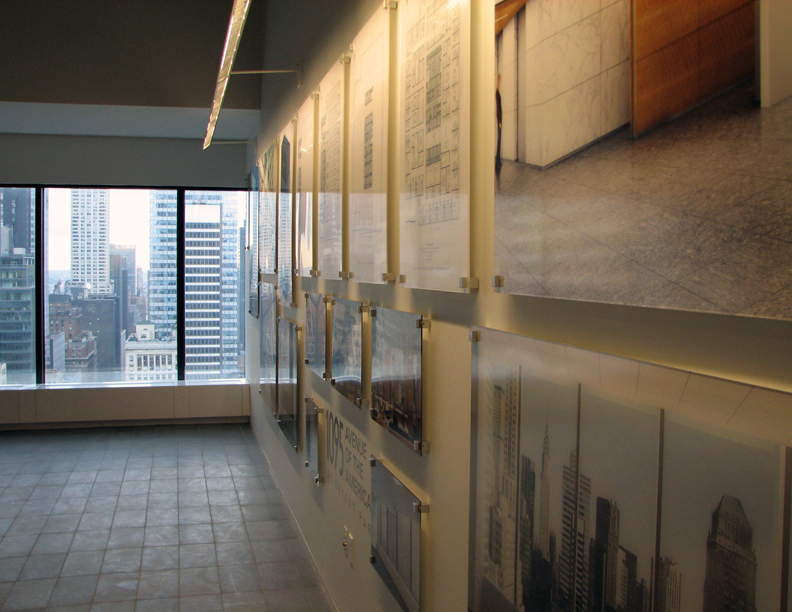 The building was undergoing a complete resurfacing of the exterior. 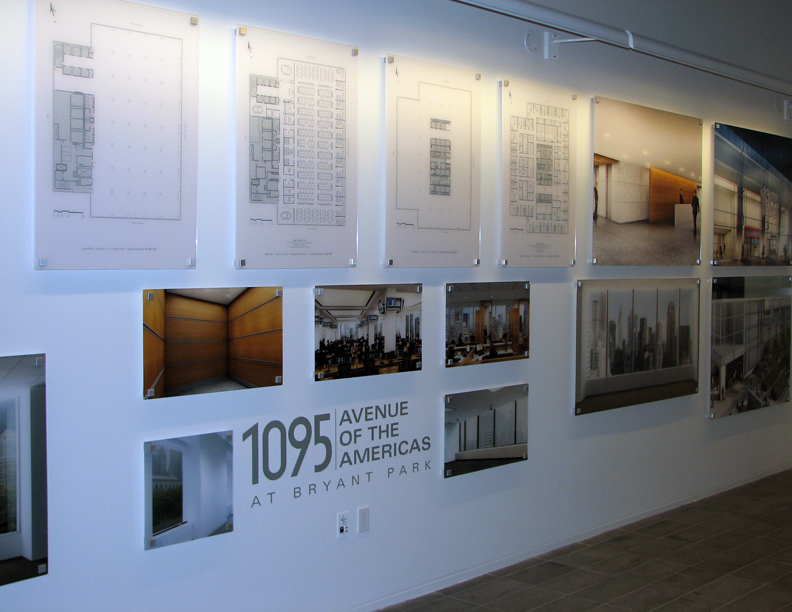 The framed wall graphics include renderings of the new building inside and out, a stacking plan and multiple floor plans. 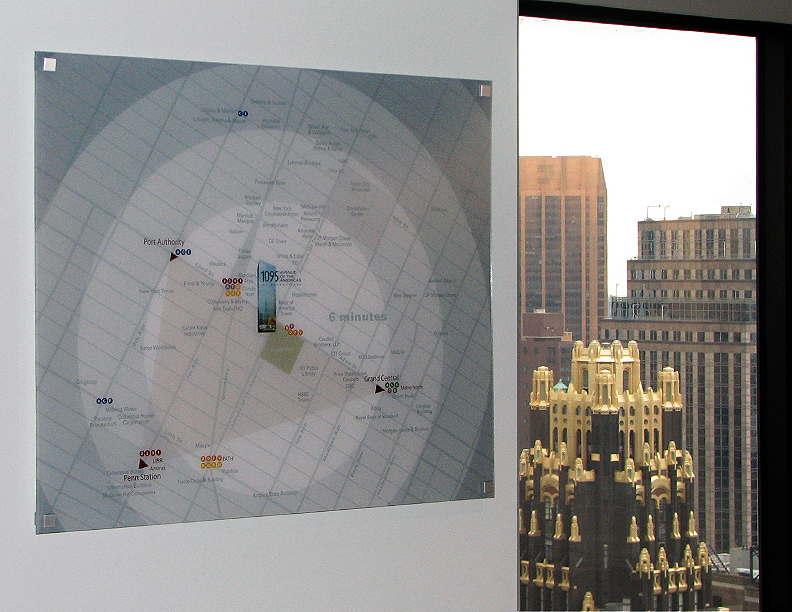 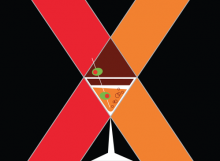 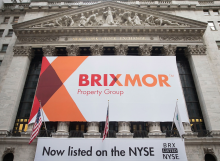 A map was also included to showcase the building’s pivotal location and proximity to The Port Authority, Grand Central Terminal and Penn Station. 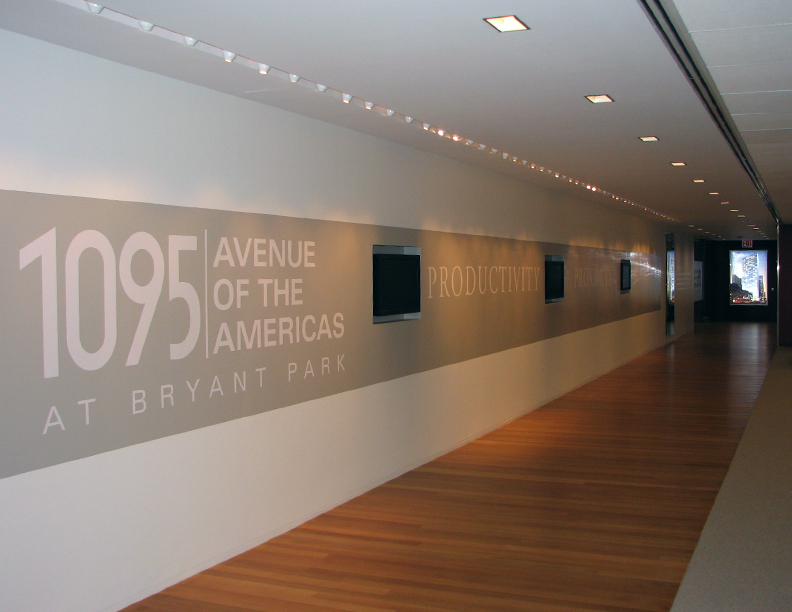 Along the main hall is a dynamic stretch that features wall graphics of the building logo and 3 flat screen TVs that played promotional & informational pieces the words Productivity, Proximity and Prominence are interspersed between. 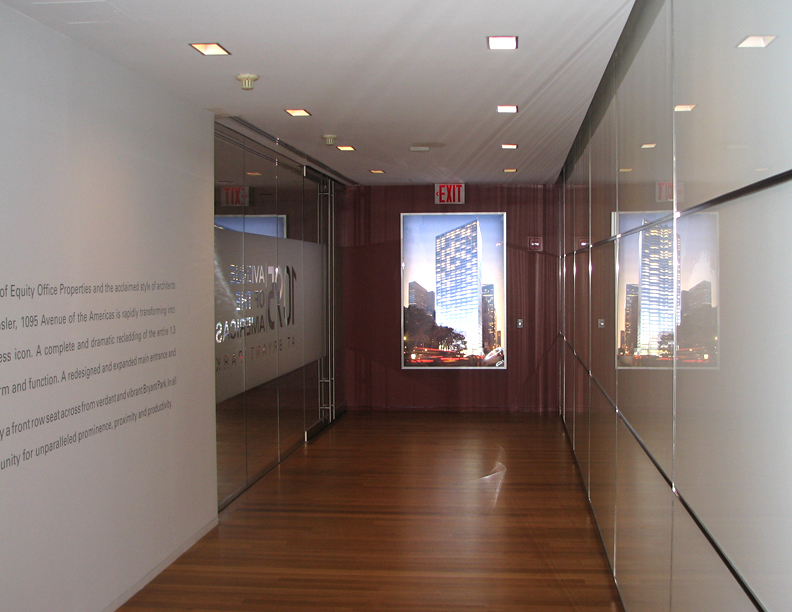 At the end of the hall is a dramatic rendering of the new building enclosed in a lightbox.